YouTuber Lilly Singh aka Superwoman, who was among the attendees of the Chopra-Jonas wedding in December 2018, let the world in on a secret from the festivities. Bride Priyanka Chopra told her friends to show "no mercy" on groom Nick Jonas during the haldi ceremony. 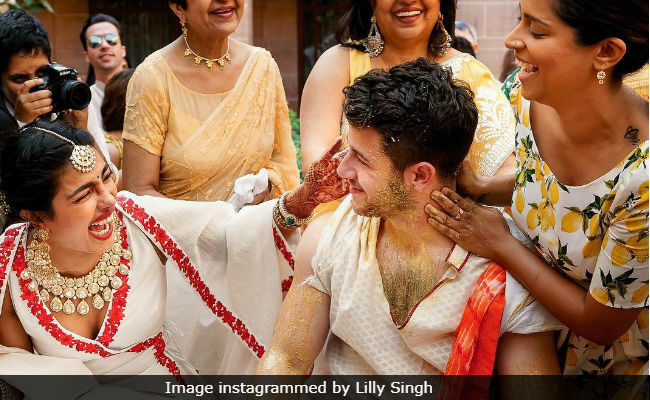 Lilly Singh posted a new set of pictures from Priyanka and Nick's haldi ceremony and revealed how "a Jonas brother (turned) into a Simpson." She wrote: "If I'm gonna do it, I'm gonna do it right! My sis Priyanka Chopra told me no mercy during the haldi ceremony on Nick Jonas. Ya girl had to deliver." Going by the photos, Lilly Singh did keep her word. 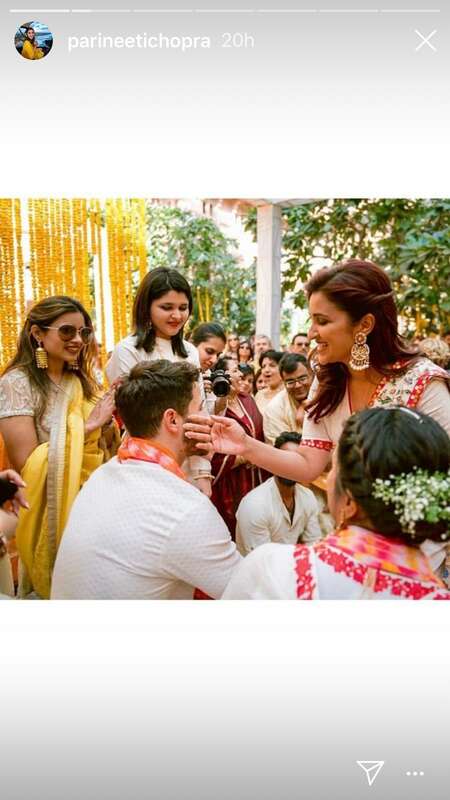 Earlier, actress Parineeti Chopra, who is Priyanka's cousin, shared pictures from the haldi ceremony, in which she can be seen teasing and applying haldi on Nick Jonas' face. Parineeti Chopra trended for days after the picture went viral. Priyanka Chopra married Nick Jonas in a lavish ceremony in Jodhpur's Umaid Bhawan Palace. After their Christian wedding on December 1, Priyanka and Nick married as per Hindu rituals on December 2. The power couple threw three wedding receptions in India - one in New Delhi and two in Mumbai. Their second Mumbai reception was a big Bollywood night with the likes of Salman Khan, Deepika Padukone, Ranveer Singh and Anushka Sharma in attendance. As of now, Priyanka Chopra is looking forward to the release of Isn't It Romantic? and then she's complete filming The Sky Is Pink. Nick Jonas recently announced he'd return to the sequel of Jumanji: Welcome To The Jungle, co-starring Dwayne Johnson.